“Listen, you have to eat,” said Dr. Cynda Crawford. Cradled in her left hand was a tiny puppy who wasn’t yet weaned. 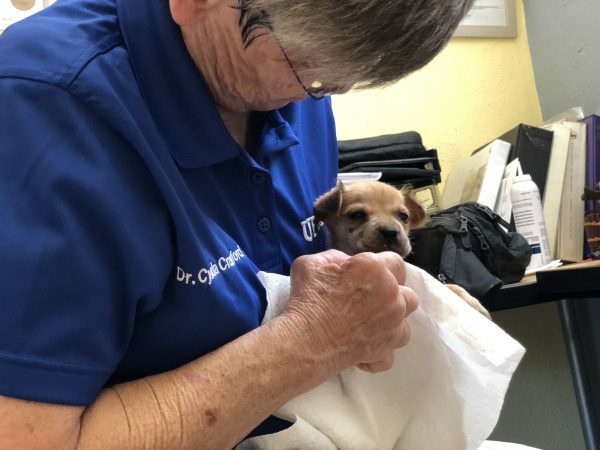 Crawford was attempting to bottle-feed the pup while at the same time answering questions about animals up for adoption and overseeing the second day of activity at the Adoption Center at Villa Michelle. “If you don’t eat, you won’t grow big enough to be adopted,” she warned the tiny ball of fur. 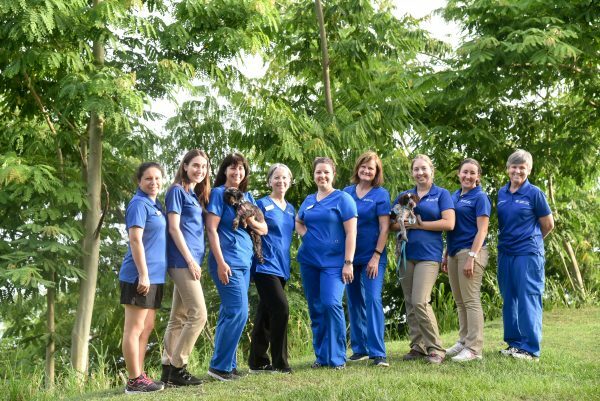 Crawford, the Maddie’s Clinical Assistant Professor of Shelter Medicine at the UF College of Veterinary Medicine (UF CVM) was one member of a small army of shelter medicine experts from UF who spent several long days at Villa Michelle, located in Mayaguez, Puerto Rico. Joining Crawford were Dr. Julie Levy, the Fran Marino Endowed Professor of Shelter Medicine Education; Dr. Sarah Kirk, Adjunct Lecturer, Maddie’s Shelter Medicine Program; Dr. Jill Kirk; Cameron Moore, Program Manager for the Million Cat Challenge; fourth year students Laura Espinosa, Torri Cicchirillo, and Jenny Moriera; and Shelter Medicine intern Dr. Meaghan Mielo. 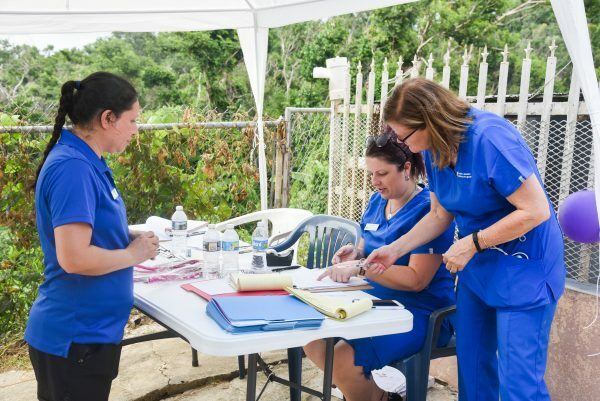 The trip, supported by the Humane Society of the United States, Petco Foundation, Petsmart Charities, Maddie’s Fund, and private philanthropy, was the third such venture for outreach and collaboration with Villa Michelle and other shelters in Puerto Rico. 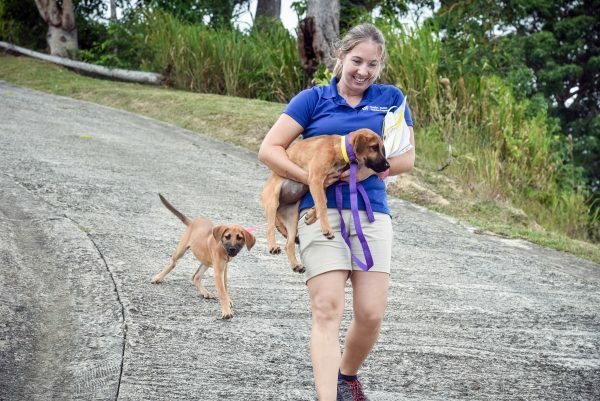 The largest animal shelter on the west coast of Puerto Rico, Villa Michelle has been overwhelmed with animals since Hurricanes Irma and Maria devastated the island last fall. 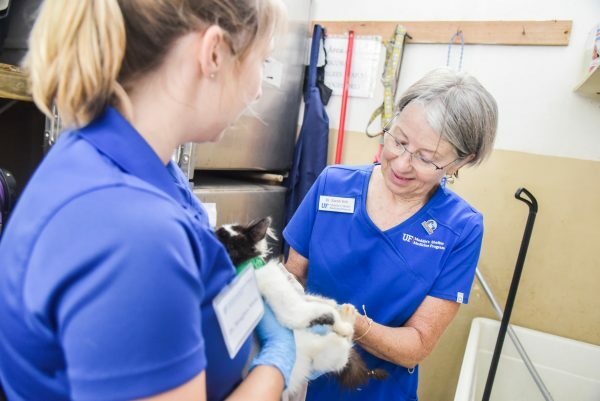 Consistently dealing with overcrowding, Villa Michelle needed support from experts like the UF team to help reduce disease outbreaks among the shelter animals as well as massive efforts to vaccinate, spay and neuter, and encourage adoptions. 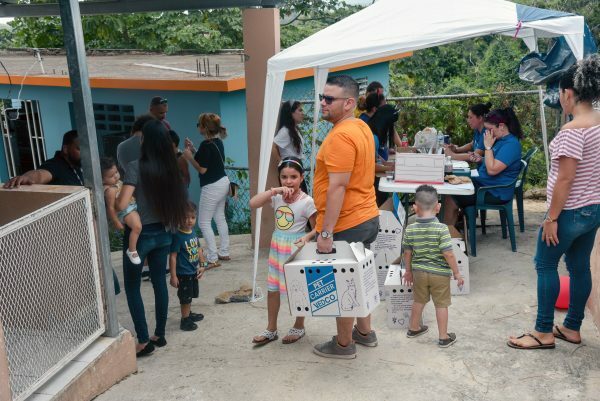 Heavily promoted in Mayaguez and surrounding communities, the adoptathon would be the first time that Villa Michelle would attempt to find homes for so many of the 325-plus animals at the shelter during one event. By the end of day two of the adoption event, there was cause for real celebration. The tally of adopted animals stood at 206 – more than the shelter would normally place in four to six months. It also adds up to 206 lives saved. 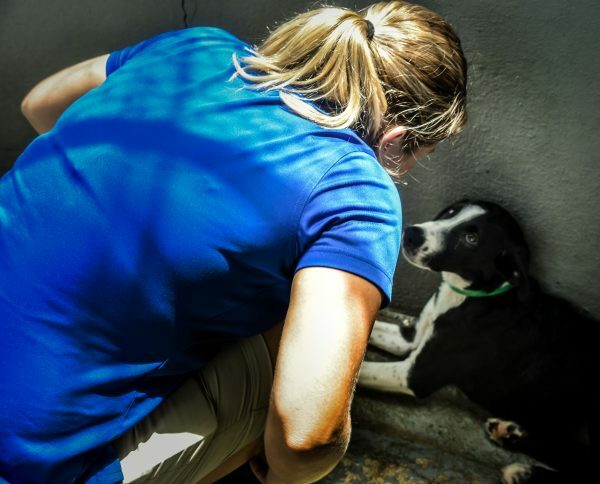 As the island continues to recover, booming populations of shelter animals often face a bleak future, or no future at all. 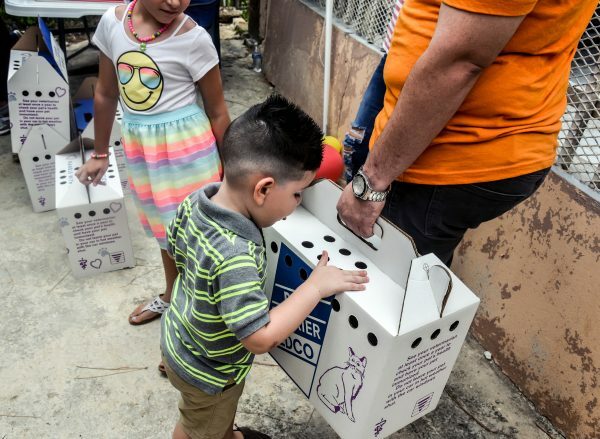 But, “Evento de Mega Adopcion” is certainly proof that with the right factors in place, such as reduced adoption fees and free vaccinations, every animal has the potential to find a new home.